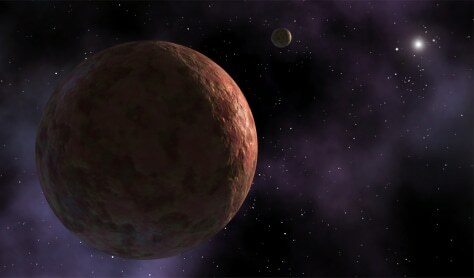 An artist's conception shows the newly discovered planetoid Sedna and a moon, with the sun as a distant speck. Observations indicate that Sedna is one of the reddest objects detected in the solar system. Only Mars is redder.